Android is of course a very customizable mobile platform, and having root access lets you personalize your phone even further. It’s very common to change Android’s boot animation, and there are tons of different animations posted on the interwebs that you can flash. There will probably be a “top Android boot animations” post here on TechCredo later on. But what if you want to use the static image of your choice as a boot screen instead of an animation? Most people will likely prefer an animation since it’s more entertaining to watch, but to use a single image will free up space on your internal storage (many boot animations are between 2- 7MB) and it’s easier to just select a picture instead of creating a full animation if you want something personal to be displayed when you start your phone. 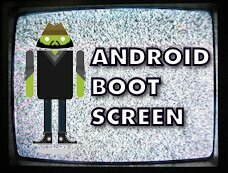 Here’s how to create a static boot screen for your Android device. You need root access for this to work. Download TechCredo’s boot screen template here. 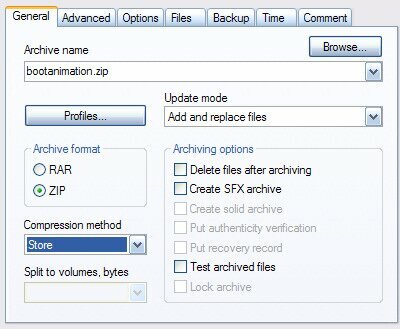 It’s a ZIP archive, so extract all its contents to the folder of your choice on your computer. You should then see the files and folders in the screen shot below. Select the image you want to use as your boot screen and edit it in your favorite image editor. The image should have the same proportions as the resolution on your phone’s screen. If you have a WVGA device, you could make the height of the image 400 pixels and the width 240 pixels. That’s half of the full WVGA (800×480) resolution to keep the file size to a minimum. If you have a FWVGA touchscreen, its resolution is 854 x 480. Save your Android boot screen in the .png format to the part0 folder in TechCredo’s template. There’s a file there for demonstration purposes called bootscreen_0000.png. Erase it, and give your own image the same name as the deleted file. If your boot screen doesn’t have WVGA proportions, open desc.txt in Notepad++ and change the first values to match the size of your image. Save the file. In your computer’s file manager, select the part0 folder and desc.txt and add them to a ZIP-file called bootanimation.zip. I use WinRAR for this purpose, and it looks like the screen shot below. Please note that you must use the Store compression method, or the boot screen or animation won’t work. Now copy the bootanimation.zip you just created to the /data/local folder located in TechCredo’s template. Finally, add the entire data and META-INF folders to a new ZIP-archive with the name of your choice. Copy the ZIP-file to your Android’s SD card and flash the file as usual via Recovery Mode. You should see your new static boot screen when you restart your Android phone. Here’s the boot screen I created when writing this tutorial. 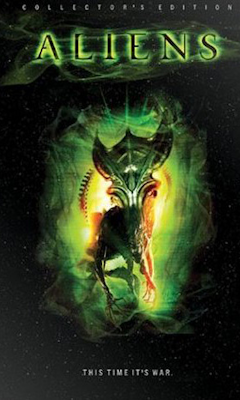 It just shows a poster for James Cameron’s epic 1986 action film Aliens. That’s it. If you have any questions, just drop a comment and I’d be happy to help. is there other zip creator that can be used..